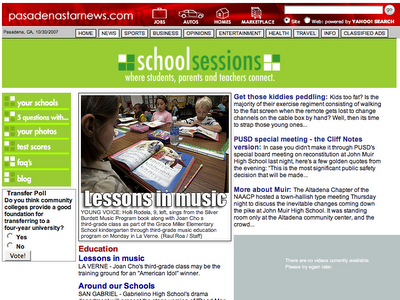 Pasadena Star News deserves credit (clicks and eyeballs) for giving us a dedicated Eduction section on their website to complement their new Tuesday section on the same subject. This kind of substantial reporting about PUSD that goes beyond the scandal-du-jour is to be commended. Please vote with your clicks and visit it every week.